Everyone wants to get a dream job but many of us are unable to find one. Many people have the same question that how they can get their dream job. We suggest them not to get confused anymore. We have gathered amazing information for them. We will teach them such amazing tactics that will help them out to find a job for which they desire. How someone can find the dream job? Here, we are going to discuss some amazing tips that will help you out to find the job about which someone can ever think. There are a lot of means that may provide you information about the latest job opportunities. You can find several online sites, by simple sign up; they will continue to send you the latest updates of new job opportunities. We suggest you to must remain active on your profiles so that you may get the information about the latest information. You can also know about the latest jobs through newspapers and television. So, be active. Keep on an eye on all the latest job opportunities and apply for the one which is your dream job. Being active will take you one step forwards towards your dream job. If you want to do the job in a well-known organization, they want you to do an internship there. Don’t hesitate to do an internship there because the internship will enhance your experience. 70% of organizations hire you if you have done the internship over there. You should have a belief in yourself. You must prepare your mind that you can do it. Show the best performance during your internship period. If you will fulfill all their requirements, the chances of your hiring there will increase and you will be able to get your dream job. We suggest being confident enough to find your dream job. It is preferable to be confident during your non-verbal communications within the company. There are a lot of people who have an education but due to lack of confidence, they can’t get their desired jobs. So, we suggest you remain confident if you wish to increase the chances of your hiring. If fortunately, you have got an interview call, you must remain confident throughout the interview. Don’t show any kind of nervousness. Have a proper control of your gestures and show your confidence even when you are not using words to communicate. You must know someone is hiring you to fulfill the need of the organization. You must have a decision power and know how to solve the problems in a limited time span. The organization will only regard your efforts if you will have enough skills to manage all the tasks effectively. If you want to get your dream job, you should research well about a particular company in which you want to get hired. You must know the reviews of the people about a particular company. Make sure that you are applying to a well-reputed organization. Keep on researching the best job opportunities until you get the one. Your research will finally lead you towards your favorite firm as well as your desired job. 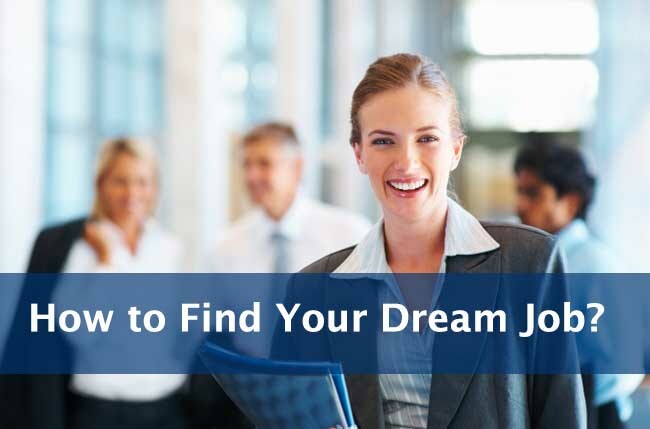 These all are the ways to get a dream job and if someone is serious in getting the job of his desire, he must follow all these tips. You don’t need perfection. Just be confident and try to adopt the strategy that may help you to get your dream job. If you are in Dubai and looking for a job, keep visiting www.UAEHelper.com to find your dream job in Dubai.